So-called "mirror" orders can be a useful tool in the arsenal of lawyers who handle cases concerning international child travel and the prevention of potential international child abduction. So, what exactly is a mirror order, and how can it be employed to protect your client’s parental interests? Increasingly, courts are being asked to enjoin parents from taking children overseas because of the other parent’s fear that the children will not be returned. Courts must take such applications extremely seriously, especially if a child is likely to be taken to a country that is not a party to the Hague Convention on the Civil Aspects of International Child Abduction, or that does not return children promptly to their habitual residence. On the other hand, it is also well-recognized that children have an interest in seeing the world. In addition, children with a foreign parent should be encouraged to learn of their overseas heritage and to get to know their family members who live at a distance. A potentially left-behind parent’s application for an injunction is usually supported by: 1) Expert testimony as to the practices and laws concerning international child abduction and international child custody in the country to which the child may be taken; 2) Expert testimony as to the "red flags" or "risk factors" that research establishes are the indicia that a particular parent might indeed abduct his or her child; and 3) Lay testimony as to any facts that establish the existence of any and all such risk factors. In those cases, a judge will invariably ask a basic question: "What conditions can I include in my order that will minimize the risk that the child will not be returned?" Unfortunately, the true answer is often, "None." This point is evidenced by the epidemic of "successful" abductions to countries such as Japan, frequently in flagrant violation of court orders. In many cases, a court faced with a parent who wants to take a child overseas and a left-behind parent who fears the child will not be returned should require the traveling parent to obtain a "mirror order" from a court in the foreign jurisdiction before being allowed to take the child overseas. A mirror order is one that is issued by another court and contains the same terms as those that are contained in the order that is being mirrored. 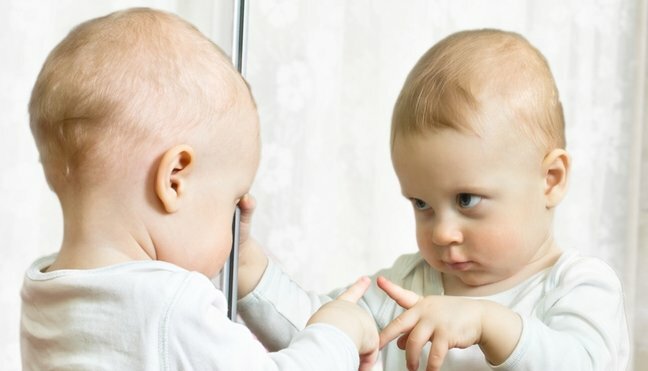 Inherent in the mirror order concept is the fact that the foreign court shall have the right — and more importantly the obligation — to enforce the terms contained in the order, specifically including the obligation to effectuate the prompt return of the child at the end of a designated period of time. Equally critical is that the foreign court should not be permitted to modify the original order. The viability of a requirement that the foreign country’s courts enforce these mirror orders varies substantially from country to country. By way of example, a very recent decision of the Supreme Court of India (Majoo v. Majoo, (2011) INSC 515) made it clear that the courts in India will not allow mirror orders to be entered in child custody matters and that they will always conduct a full plenary review of the child’s best interests (which invariably equates to a decision that the child — who, by the time of the ultimate decision has typically been in India for some years — should remain in India). It is also obvious that a court in Japan, even in the utterly unlikely event that it were to issue a mirror order, would not enforce the terms of any such order since its family law system is toothless and its orders are invariably not enforced. See www.international-divorce.com/Japan-Child-Abduction-police-hurt.htm. By contrast, a country such as Australia has a custody registration system that operates in a very similar way to the system of registration of foreign custody orders in the Uniform Child Custody Jurisdiction & Enforcement Act (UCCJEA). However, Australia is very much the exception rather than the rule. The European Union has a registration system, but it applies only to orders issued by an EU court, and the practice within Europe varies substantially from country to country. In the case of W v. W (Minor) (Mirror Order) (2011) EWCA CIV 703, the issue was recently before the Court of Appeal in England. (Since that court is headed by a judge who is also that country’s "Head of International Family Law," its decisions on such issues are far less likely to be parochial than similar rulings from some courts in the United States and many other countries.) In W. v. W., the child in question was living in Malaysia. A Malaysian court awarded custody to the father, an English national, and contact to the mother "at reasonable times." The father then asked an English court for a mirror order so that he could apply for a British passport for the child. However, the English court not only issued a mirror order, but it also granted the mother’s application to reopen the entire case. On appeal, the English Court of Appeal ruled that the trial court had been right to issue the mirror order but wrong to claim any broader jurisdiction. It made clear that a litigant who seeks a mirror order does not accept the jurisdiction of the court to do any more than reiterate the provisions of the order issued by the primary jurisdiction. By definition, an application for a mirror order cannot supplant the primary jurisdiction. The court ruled that if the mother wished to challenge the order or seek specific contact, she should apply in Malaysia. Lawyers bringing applications to enjoin children’s foreign travel, and lawyers opposing such applications, need to tailor their presentations. Their proposals should address the specific laws, procedures, customs and practices concerning international family law, international child custody and international child abduction of the specific country or countries that the child is to visit. The next consideration — a highly important but often overlooked one — is this: Once the child is taken to the agreed-upon country, where may he subsequently be taken? After all, once a child lawfully enters one country, local laws may make it very simple for that child to be moved to another country. For instance, once a child is in any European country that is within the "Schengen Zone," he or she may be taken to any other such country without passing through any passport control. It is also important to understand that merely because an American court conditions an event upon a foreign mirror order, the foreign court might not have jurisdiction to issue any such order. That situation arose in Danaipour v. McLarey, 286 F.3d 1 (1st Cir. 2002), in which a district court in Massachusetts acted on the mistaken assumption that a Swedish court would provide a stipulated mirror order. In fact, the Swedish court refused to do so. Another critical factor is that once a child is taken into a foreign country, it may be extremely difficult to bring him or her home. Many countries have stringent exit controls that require the written consent of both parents or a sole custody order to remove a child. This is particularly the case with South American countries. Even if a U.S. court issues the requisite order, it may have no effect in a foreign country; even if ultimately effective, the lack of a local court order might cause significant border delays. In my office, issues have arisen when parents seeking to take a child out of the country claimed they could not obtain a mirror order. What then? One of our clients was legitimately worried that a child would be retained in Bermuda if the father took him to visit his family there. Upon our advice, the client negotiated a strong New York consent order that specified that New York had continuing exclusive jurisdiction, that contained a host of other protective clauses and that permitted a visit to Bermuda only if a mirror order were first obtained. Subsequently, the father asserted that he had been unable to obtain the requisite mirror order from the Bermudan courts. As a result, the Family Court authorized a visit without the mirror order. We successfully obtained from the Appellate Division, First Department, an emergency order barring the scheduled visit. Another client settled an action under the Hague Abduction Convention by agreeing to limited and supervised visitation between the father and the child in Quebec, Canada, conditioned on the child’s prompt return to New York. We insisted that a mirror order be obtained from the Quebec courts before any visit could occur. Again, the father reported difficulty on obtaining the required order, which led to a delay in the scheduled visitation. Only when the mirror order was in place did visitation in Canada successfully occur. In my capacity as an expert in international custody issues, I have sometimes suggested, as part of my written expert evidence or expert trial testimony, that a mirror agreement would be futile because the family law system of the foreign country could not be relied upon to enforce the mirror order. For example, I recently so testified in a case concerning a child’s travel to China. In other cases, I have testified that a mirror order might be a good idea because it would provide useful additional security for the prompt return of the child if the parent taking the child for an overseas visit were to keep the child there. I have testified to this effect in cases concerning travel to Italy and Hong Kong, because the family law systems in those jurisdictions are reliable and effective. In conclusion, depending on the circumstances, mirror agreement requirements may be useful, but they may also be counter-productive if they induce a false sense of security. They should never be requested or opposed except by counsel having full knowledge and understanding of international family law. Jeremy D. Morley, a member of this newsletter’s Board of Editors, concentrates on international family law. He may be reached at 212-372-3425. He is the author of the treatise, International Family Law Practice. His websites are www.international-divorce.com and www.internationalprenuptials.com. Access his blog at www.internationalfamilylawfirm.com.